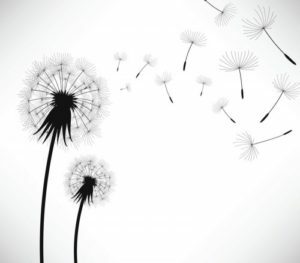 Your Name: Valerie (DW nickname and real name). Where is the location of your home? Broad Ripple Village, Indianapolis, IN. What type of property it is? House. How many years you’ve lived there? One year, almost exactly! How many people (and pets) reside there? Two — me and my husband Chris. What’s your favorite thing about your home? The best thing about the house is by far the location. We’re within walking distance of great restaurants (including three that brew their own beer! ), bars and shopping. We’re also very close to some of the bike paths that run through the city. 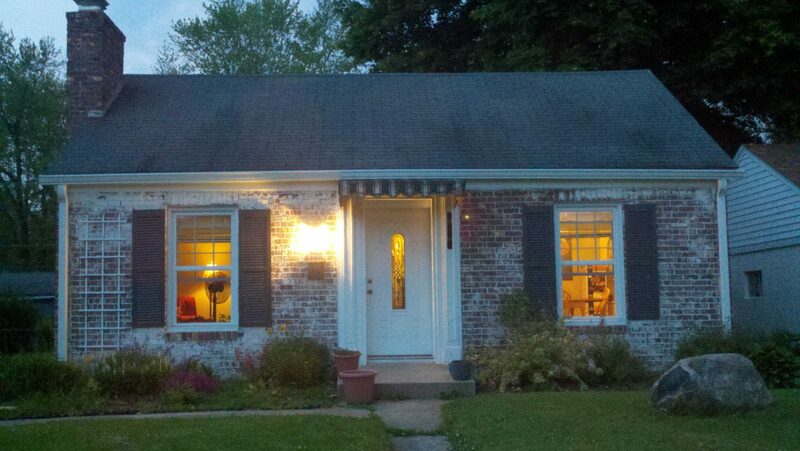 It’s been a lot of fun making a “first home” with my husband. Keep reading to see the inside of Valerie’s cute house. 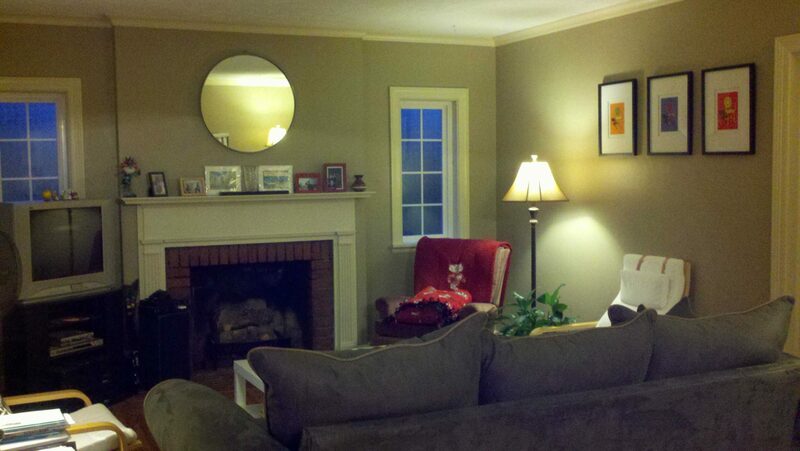 Living Room: My husband and I met in Madison, WI, and you can see some UW touches in this photo. Bucky Badger is on the blanket on the chair in the back, and the three prints on the wall are chairs from the Memorial Union Terrace. 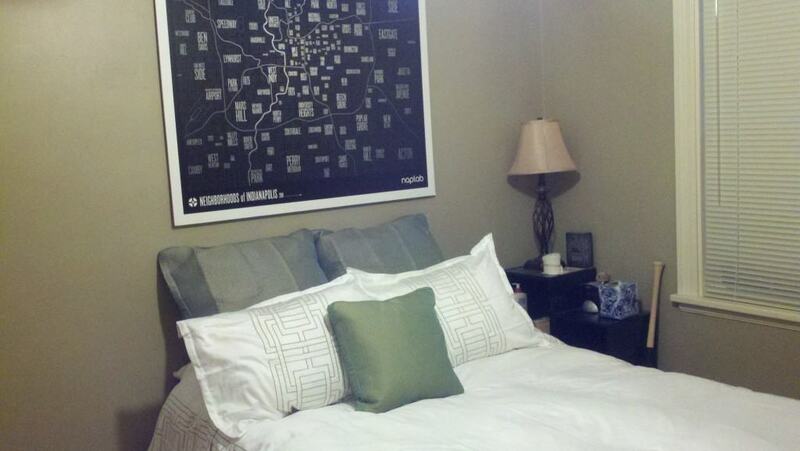 Bedroom: We don’t have a headboard, so we thought this sweet map of the neighborhoods in Indianapolis would look nice on the wall instead. How many years you’ve lived there? I LOVE the dining room. It looks lived in without looking busy and cluttered. I love your style. Super cute place! I feel you on the small kitchen. My isn’t small but has practically NO counter space- less than it appears you do actually. Anyway, it looks cozy. Love the dining room!! Those posters are pretty cool too. 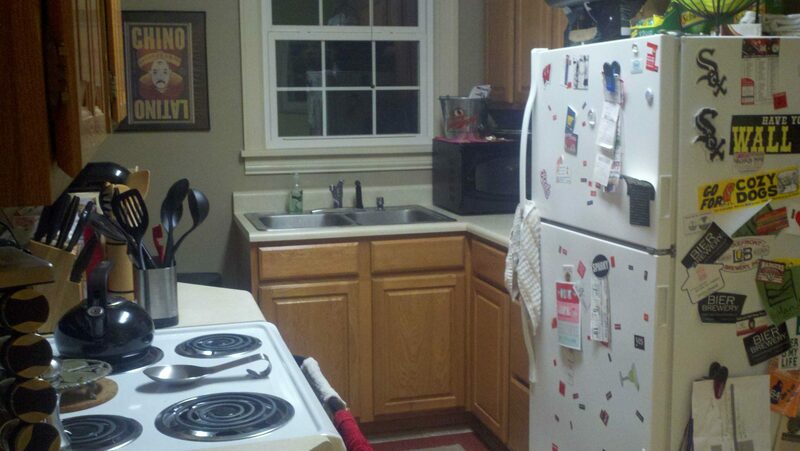 I used to have a very small kitchen, provided a great excuse for eating out all the time! Charming. Especially the front of the house! Love all the brick and the cottage look. So cute! Free Art Director tip. You know what would REALLY class up the joint to perfection rather cheaply? Invest in some new glazed flower pots for that front stoop…Now, I realize, it’s barely spring, so the pots you already have are empty and what not, but trust me. Some gorgeous, brightly colored glazed ceramic flower pots would truly take your house to the next level. Thanks BGM, I love the colorful glazed pot idea! Now that it seems like warmer weather is here to stay, we’re definitely going to be in the market for some new pots. Since we’re just renting this place, I’m always looking for ways to add my personal style to the house in a “non-permanent” sort of way, and new pots are a great suggestion! And they don’t have to be insanely expensive either… Homegoods often has interesting ones that are well priced… As does Target of all places… Or I once saw some on Overstock.com. awww I love this house it’s so cute and has so much character. Really cute house. As for the dishwasher dilemma, I highly recommend a portable dishwasher. I had one, and it was compact and on wheels so it could be stored anywhere. It was a lifesaver. I hate to do dishes! Plus you can get ones with wooden tops so you can use them as extra counter space when you’re cooking! I had one for years and it was the best investment. 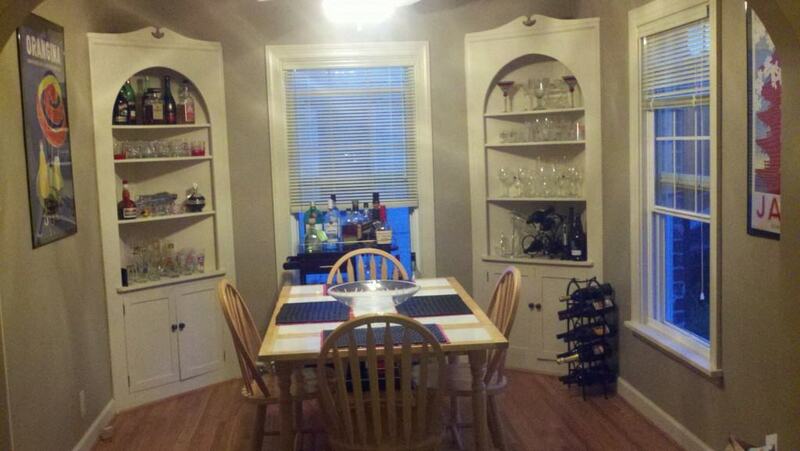 Very cute – love the shelves in the dining room… and not just because of the booze! I like your burglar defense device next to the bed, haha. Aww I LOVE Broad Ripple…my husband and I are actually looking to move there (from the Chicago area). He grew up in Indy. Can’t wait to look for cute houses like this! Ong such a cute place!! Definitely my style. Very cute and charming! I love the built in corner cabinets in the dining room. Great little place that I bet is a snap to clean. That kitchen is indeed SMALL, I had more space in the galley of my boat. Truly lovely. Adorable! I spent a few months living in Indy and I loved the character of the Broad Ripple area.